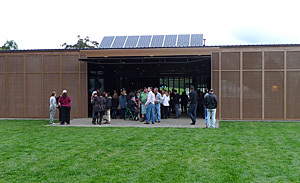 The Narbethong Hall is an outstanding venue at the gateway to the Murrindindi Shire, and a short drive from the Yarra Valley. Although it is most importantly for the people of Narbethong, we hope that it will be enjoyed by people across the whole district, and visitors from beyond. 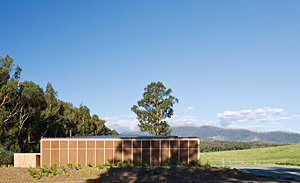 The new Narbethong Community Hall provides a venue for social functions, civil ceremonies, meetings and workshops. 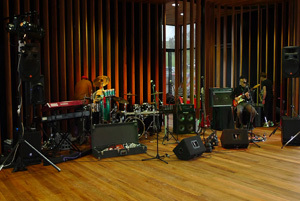 It is available for hire for private functions and used for community recreational activities and cultural events. The Committee aims to serve the community by subsidising venue hire for not-for-profit organisations, particularly those operating programs and services that strengthen the community through provision of social, leisure, recreational and occupational activities, and community strengthening. 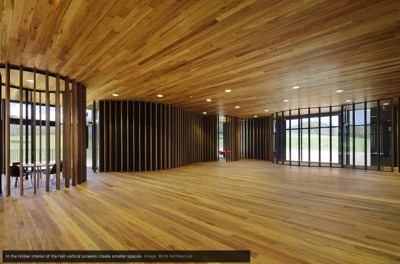 This architecturally designed hall features beautiful timber and is ideal for weddings and other functions. Wide granite bench tops in the kitchen and the under cover double electric barbeques make it ideal for function catering. 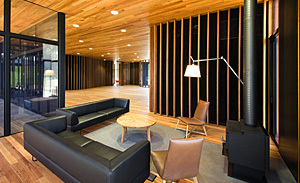 Excellent accoustics and timber floor provide a great setting for music and dance. 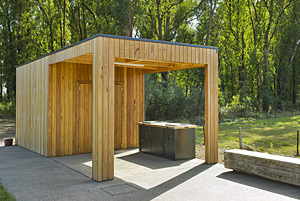 Fully furnished meeting rooms enjoy rural views. We have standard hire rates, but also tailor packages to cater for the needs of particular clients, and functions that are anything but standard. We have a range of equipment optionally available for hire, or can recommend other suppliers or service providers, including caterers. Not available for teenage parties.